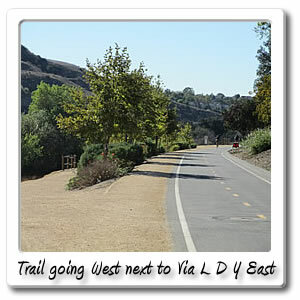 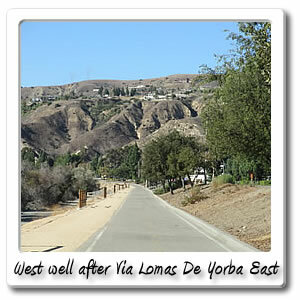 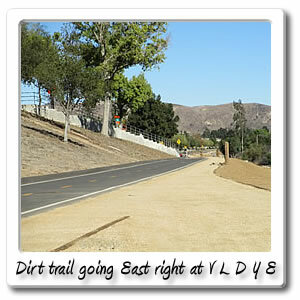 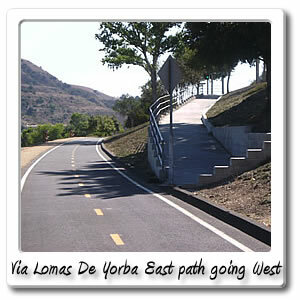 Welcome to Via Lomas De Yorba East on the Santa Ana River bicycle trail. 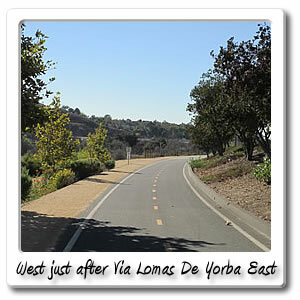 When you reach Via Lomas De Yorba East you're 25.3 miles, 2 hours and 10 minutes from the other end of the Santa Ana River Trail in Huntington Beach. 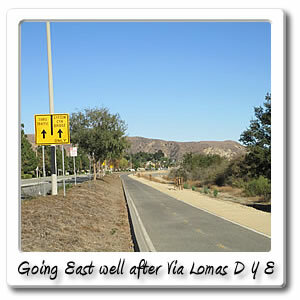 Good news if you're going to Green River Road you're 18 minutes and 3.5 miles from the end of the Santa Ana River Trail's Orange County section. 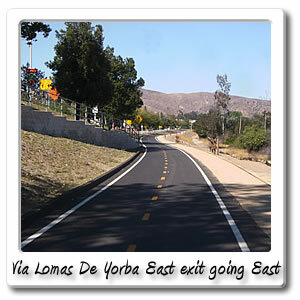 At this entry/exit point there's several different places in the shopping center, right by the exit and across the street. 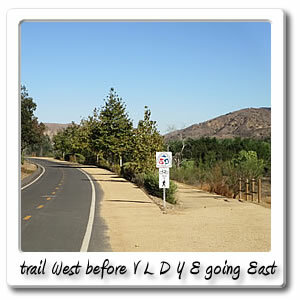 There's donuts, tacos, burgers, and other shops in this area. 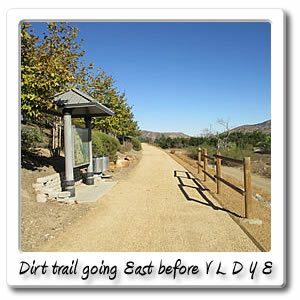 If continuing on the Santa Ana River Trail, the next point of entry is Gypsum Canyon Road, which has two sections one going on the main trail, and then there's a separate trail,that's an unnamed trail, which we are calling the Camino De Bryant trail, since it ends at Camino De Byrant. 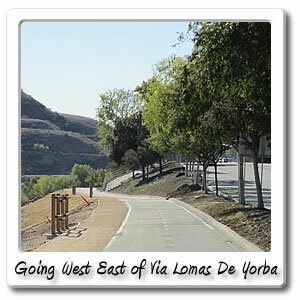 It only goes for another mile along La Palma Avenue in the City of Yorba Linda. 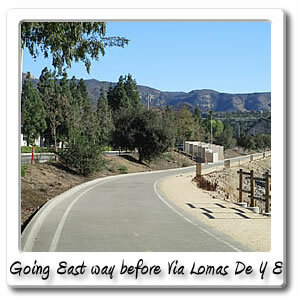 There are plans to extend it further, and possibly add a bridge across the Santa Ana River to somewhere East after Featherly Park.